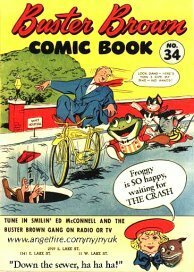 St. Louis, Missouri - Did you know? 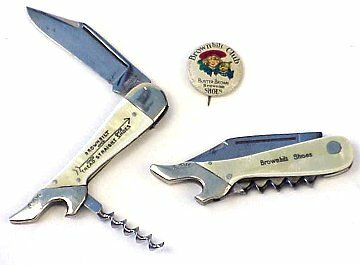 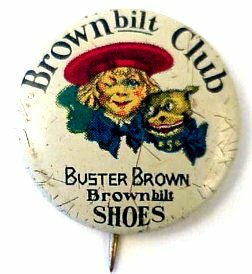 : Buster Brown Shoes were Brownbilt shoes - the advertising on the corkscrew knives produced by the Seneca Knife Company, Utica, New York? 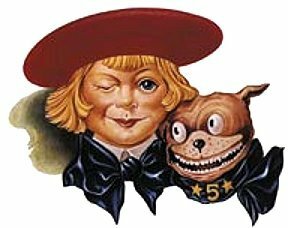 The famous Brown Shoe Company in St. Louis, Missouri used the popular Buster Brown and his dog Tighe in their advertising with the ever popular "I'm Buster Brown, and I live in a shoe. 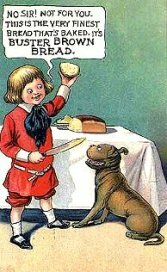 That's my dog, Tige, and he lives there, too. 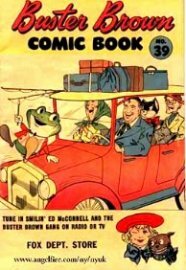 Plunk your magic twanger, Froggy!" 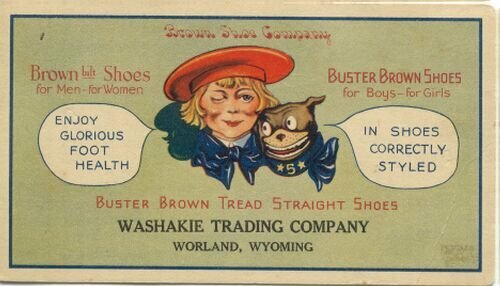 Although the Brown Shoe Company was founded in 1878, Buster Brown didn't come along until about 25 years later. 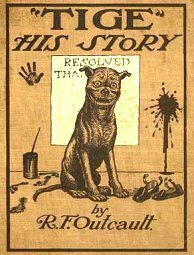 He was created by Richard F. Outcault and first appeared in 1902 in the New York Herald.